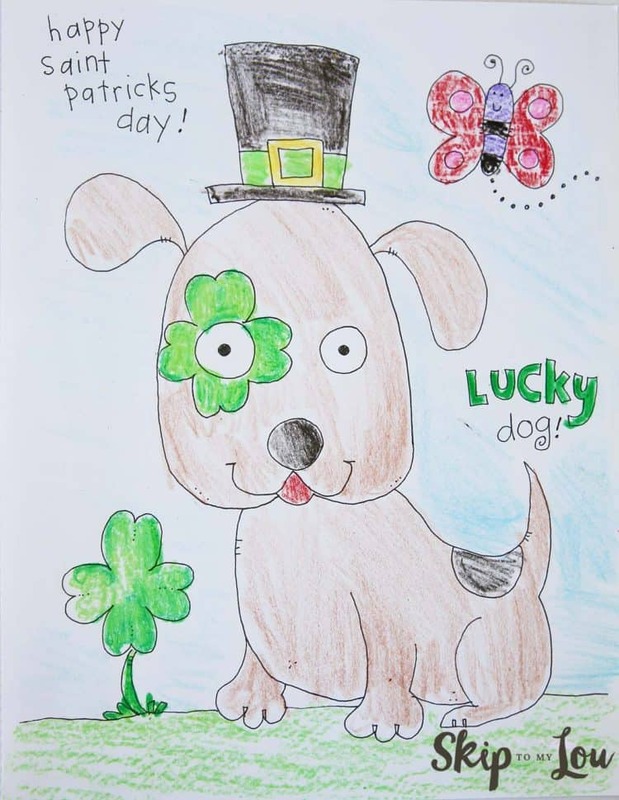 This festive St Patrick’s Day coloring pages will cause a giggle! 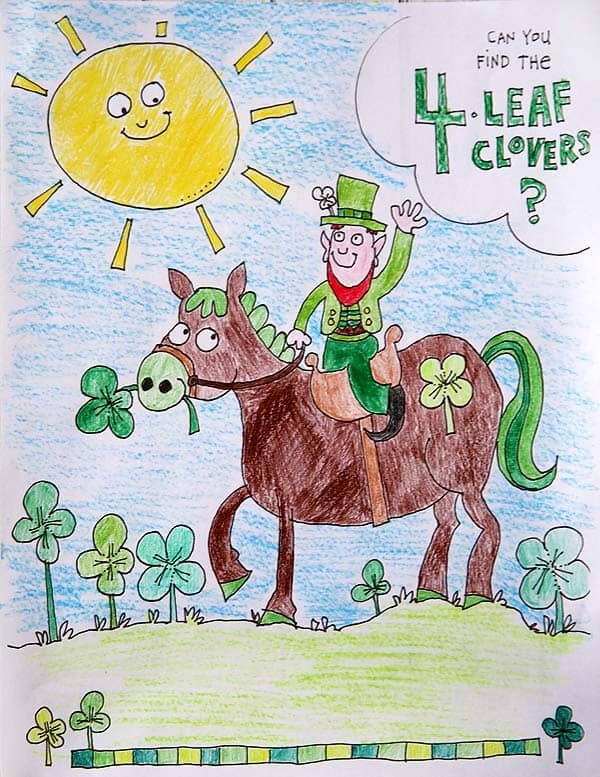 From happy shamrocks to little leprechauns we have the cutest coloring sheets for you. My daughter loves to color and she thinks these free pages are a bit more fun than the standard coloring book! I hope you do too! For more St. Patricks fun try my green candied popcorn recipe or make your own shamrock shake! Kids will always have some fun making their own blarney stones. They have a hidden surprise inside. We have some of the best St Patrick’s Day ideas. These St Patrick’s day coloring pages are all free for you to print. Print as many as you like. They are great for classroom activities and classroom parties! 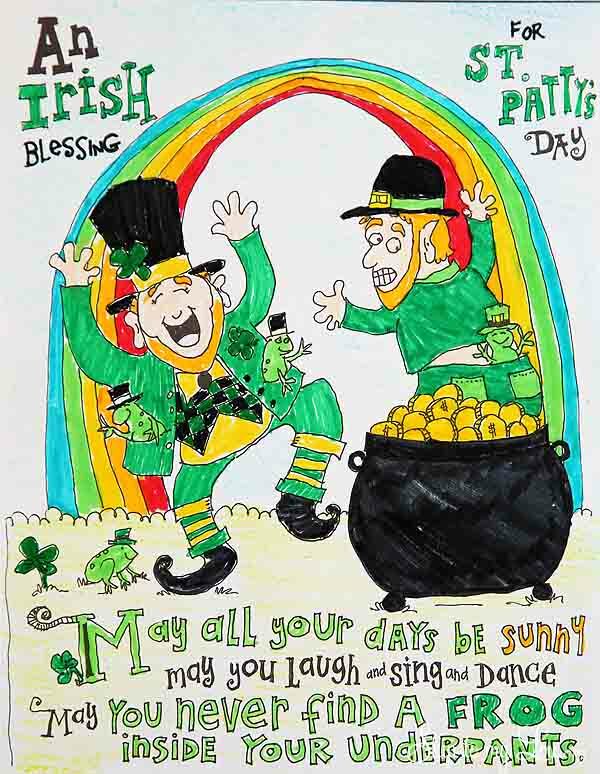 This one has a twist on the traditional Irish blessing complete with a pot of gold at the end of the rainbow. 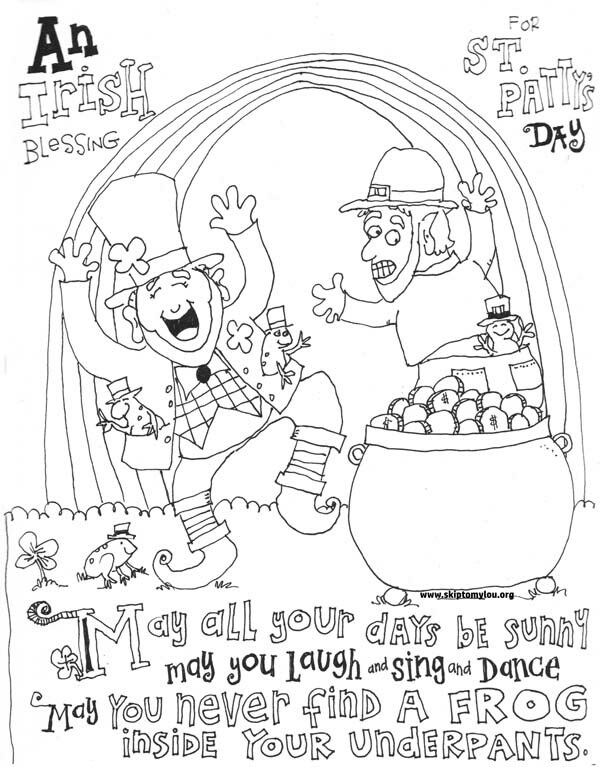 To print this coloring page first download St Patrick’s Day Coloring Page. Print in black and white on plain copy paper. This one has you searching for four-leaf clovers. How many can you find? I love the coloring sheets that also have a fun activity! Here is one perfect for little hands! Preschoolers will appreciate the large images that are easy to color. And who wouldn’t want this cute puppy with a shamrock spot around its eye? I hope you enjoy these free St Patricks coloring pages! There’s more! We have cute coloring sheets for almost every holiday from Valentines day to the first day of school. You will even find pages to celebrate the milestones of life! Check out all the free coloring pages. Easter is up next. I hope you will like the Easter Coloring Pages. Coloring is fun for children of all ages and is a great tool to help children develop fine motor skills and creativity. An added bonus is this activity can relieve stress. You might be interested in coloring a mandala. They are a wonderful stress reliever. Observed every March 17 this day is packed with parades and all things green. St Patrick’s Day started as a religious holiday, but over time it’s become a celebration of all things Irish. Saint Patrick is the patron saint of Ireland. He was a Christian missionary who is credited with converting Ireland to Christianity. Be sure to share these funny jokes for St Paddy’s. They are printable little cards that you can slip into your child’s lunch. You might like to be inspired by these St Patricks Day Quotes. Decorate your home with a crochet shamrock garland. You won’t believe how easy it works up. I even made a video to show you how. 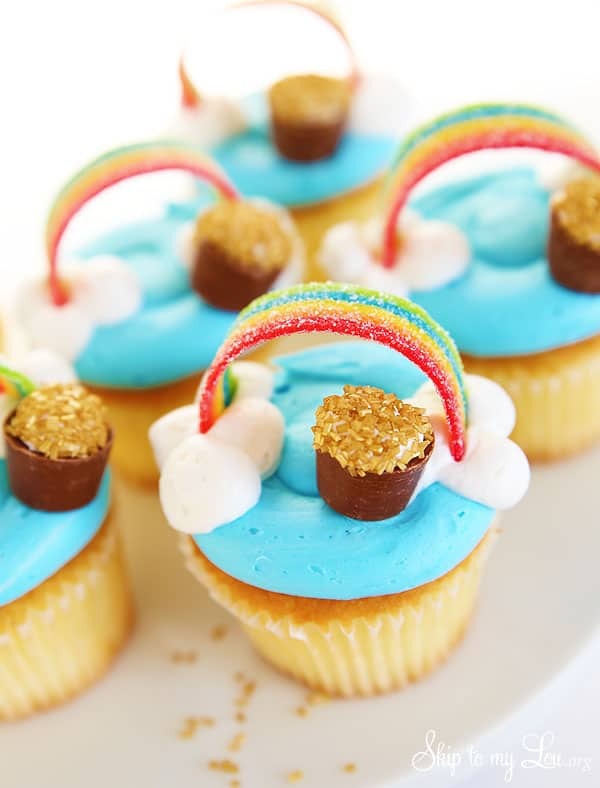 A bit o’ candy can make a tiny pot of gold and rainbow on these easy rainbow cupcakes.